Wonderful, exciting news for students…!!! The Department of Training and Technical Education is soon going to upload Delhi CET Admit Card 2018 link to their official website. In accordance with an official info, immeasurable students have applied for State Level Common Entrance Test for admission to full-time Diploma courses. Now, those candidates who had submitted their applications are at present in a hurry to download online admit card for Delhi Polytechnic Entrance Exam from the main portal. Whenever a call letter released by the board on their website, we strictly suggest to collect it much before the entrance test date for avoiding last network problems and other problems. Here in this web portal, we have also placed the Delhi University CET Exam 2018 Hall Ticket direct link at the bottom of this article only for the student’s welfare. Further more useful detailed information is written below so without wasting time read it out and get ready to face exam. We have tried our level best to present all the up-to-date details by gathering from an official web page. Latest Update!! Delhi CET Exam 2018 Admit Card has released and now available to download from the official link uploaded below. Stay tuned for next update. 1.4 How to download Delhi CET Polytechnic Hall Ticket 2018? The Department of Training and Technical Education has already announced Delhi CET 2018 Examination Dates through its online web portal. So, as per the announcement, the department will carry out entrance examination on 26th and 27th May 2018 at pre-designated centers. It is going to conduct in two shifts i.e. morning and afternoon shift. The timing of morning session will be 10 AM to 12:30 PM while afternoon session 02 PM to 04:30 PM. The question paper is organized in offline mode so answers will be marked on the OMR Sheet. This examination will consist of total 150 questions and each accurate question is awarded 04 marks. There will be five sections in this test. This examination will be in English and Hindi Language. Remember, 01 (one) mark will be deducted for each wrong answer and a total time limit to finish answer paper is 2½ hours, i.e. 150 minutes. The results of this test will be declared on 14th June 2018 at 04 PM via the official site. Candidates will find Counselling schedule from the Information Bulletin. To download Information Bulletin, contestants can click on the link attached at the bottom. Applicants are advised to retain this Admit Card till the Department of Training & Technical Education finalizes their admissions. The controller will not issue duplicate admit card after the entrance test in case of candidates lost their copy of hall ticket. Contestants can get their CET-2018 Exam Hall Ticket showing the Roll Number and Centre details by visiting the official site approximately one-week prior examination date. Below, some quick and simple steps to download Delhi Common Entrance Test 2018 Online Admit Card from the website are described by us so as per your convenience follow it. The table showing Examination schedule, date and timings test-wise available in the below description. How to download Delhi CET Polytechnic Hall Ticket 2018? STEP 01: Log-in to the official online web portal of Delhi Common Entrance Test – 2018. STEP 02: Now, go to “News & Events” section that is available on a right side of the homepage. STEP 03: Press on a download link highlighted as “Admit Card for Delhi CET-2018”. 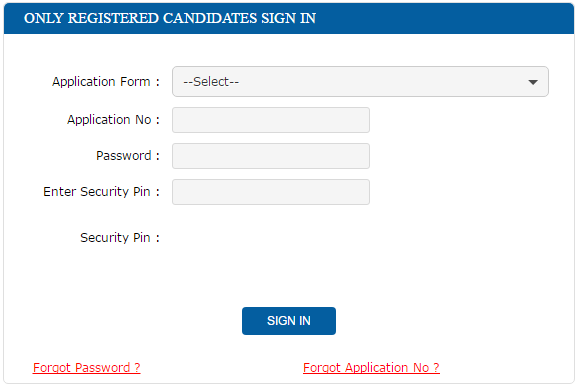 STEP 04: In a login page, select your Application Form and then submit your Application Number, Password and Security Pin. STEP 05: After a valid submission, your admit card pdf file will open on the screen within a few seconds. STEP 06: First, download it to your desktop and also don’t forget to collect a printout for attending the examination. According to latest updates, Delhi CET Polytechnic Exam Admit Card is expected to publish at least before 01 (one) week of the Common Entrance Test. All exact information pertaining to the issue of hall ticket will be displayed on the website by a department. Those who have registered names for the exam can collect Delhi Polytechnic Call Letter 2018 showing their Roll Number and Centre details by visiting the authorized site. The higher authority will not send call letter via post, private curious or email, in fact, everybody has to download it from online source i.e. www.cetdelhiexam.nic.in. The hall ticket will consist of details like Student’s Name, Photo, Seat No., Exam Dates, Venue, Address and other important guidelines to remember. It is also mandatory for every student to carry their admit card along with them on the examination day. Candidates will not be permitted to enter premises if forget to bring their hall ticket along with other required photo ID. If any mistake founded by the contestants on call letter then immediately contact official authorities via e-mail/ phone. Wish you all students a BEST OF LUCK for your huge success in cracking admission to desired government college for Diploma (Engineering/ Non-Engineering) Courses/ Certificate Courses. Students can just bookmark this web page www.techufo.in for additional updates on Delhi CET such as syllabus, previous question answer paper, paper solutions/ answer keys and results. Follow this web page on a regular interval as we also provide fresh alerts on govt jobs after 12th pass, rojgar samachar, employment news today, railways jobs, latest bank jobs, etc. If you face any difficulty in downloading call letter, then share your query in a feedback box below. THANK YOU! !